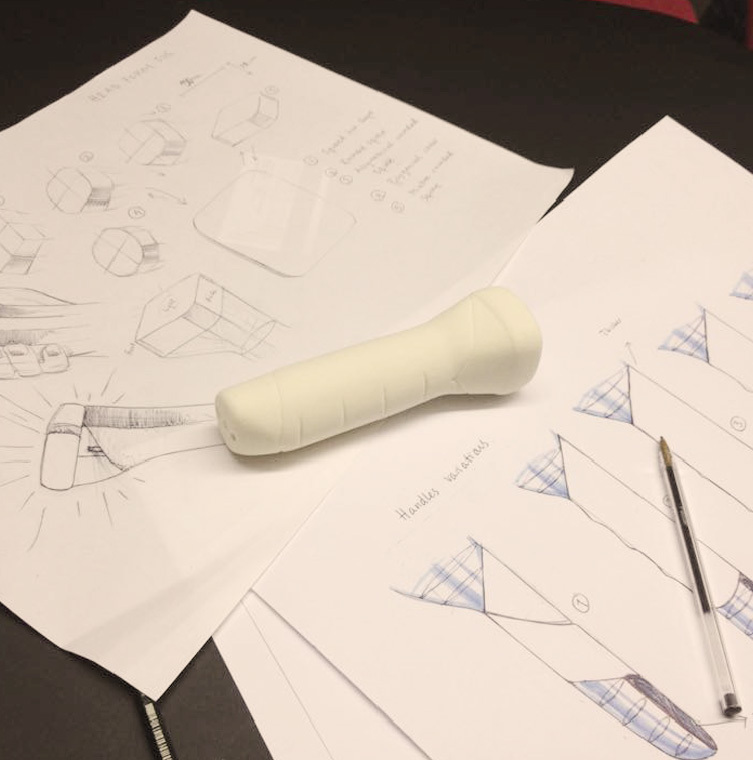 We were given the challenge- a well known travel company want to enter a new product area, and develop a product for portable light in private home environment. It should include core values that the company represents. The product should make itself enjoyable, and maybe help your user to find their way, in the dusk and dark. The company wants the product to attract new consumer groups in new markets. I decided to create a hand held flashlight service, easily reached by web, app interface or spoken communication. You simply pick up the flashlight at a near station, and a light will guide your way. It is a lighted path service. WORK MODE Group work for ideating concepts, individual work for developing your own concept. Momondo is a well known or up and coming travel company aiming towards a business and youth population. It brands itself as a "mood traveling guide" and you can similar to Spotify choose your trip with the help of typing in your current mood. The site then calculates what is the best trip for you to make , depending on your mood at the moment, which was an inspiration for me and my concept. The result by our interviews showed that no one of the user owned a flashlight. We saw this as a slight problem, and this is what a challenge is for. The age group having flash light are mostly 55 or up, our user group simply uses their phone when going on travels. 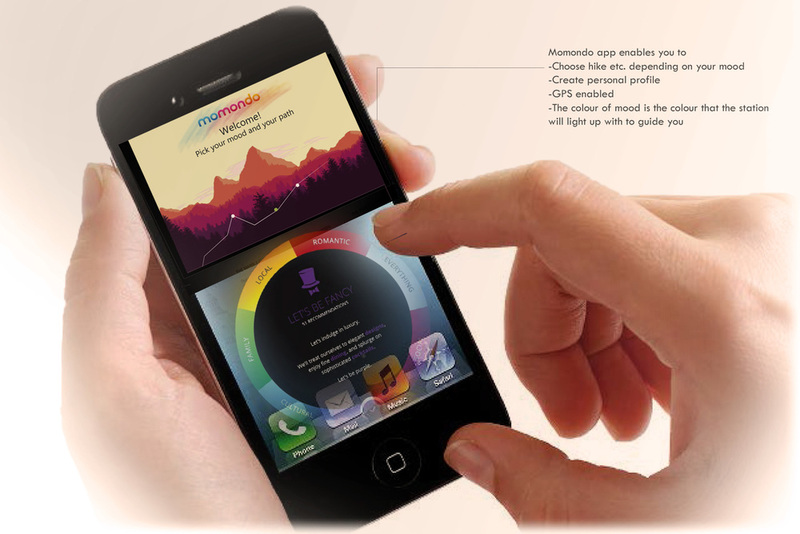 Most of the users were familiar with Momondo. They needed light for safety but also wanted it for fun, mentioning things such as mood dimmers. Emergency situations was a huge factor in when they would wish for a hand held light. "I WENT TO PHILIPPINES DURING THE TYPHON AND THEN I WOULD HAVE NEEDED A FLASHLIGHT!" 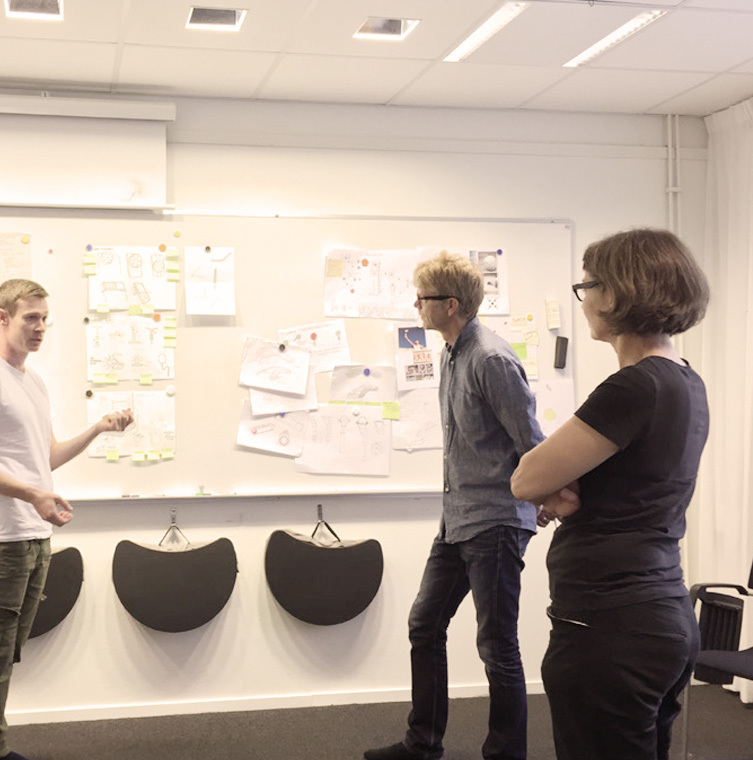 After iterating the functions and problem, the team came up to our final problem and from there we started sketching on concepts. I developed three concepts, one about solar powered energy for Australian van travelers, and also one jewelery inspired projector to bring with you since young people like to share moments and display them on walls. My third concept was about the city bike *inspiration, where people could lend a light just as this service. Evaluation was carried out in the group on each others concepts, with the method Harris Profile. I chose to go on with the light service concept since it was an opportunity to be an adaptable system, nature inspired and adaptable for smart cities. A travel service like this can easily be connected to the Momondo brand. It is also a new and innovative idea. Target group for nature exploration is perhaps older, but depending on interest. It could easily be connected to social media of some kind and very much be adaptable to a younger age group such as 25 year old who like to explore. "If it is easy accessible, as if I would walk by it on my Sunday walk and I could just pick up the light, then I would use it." 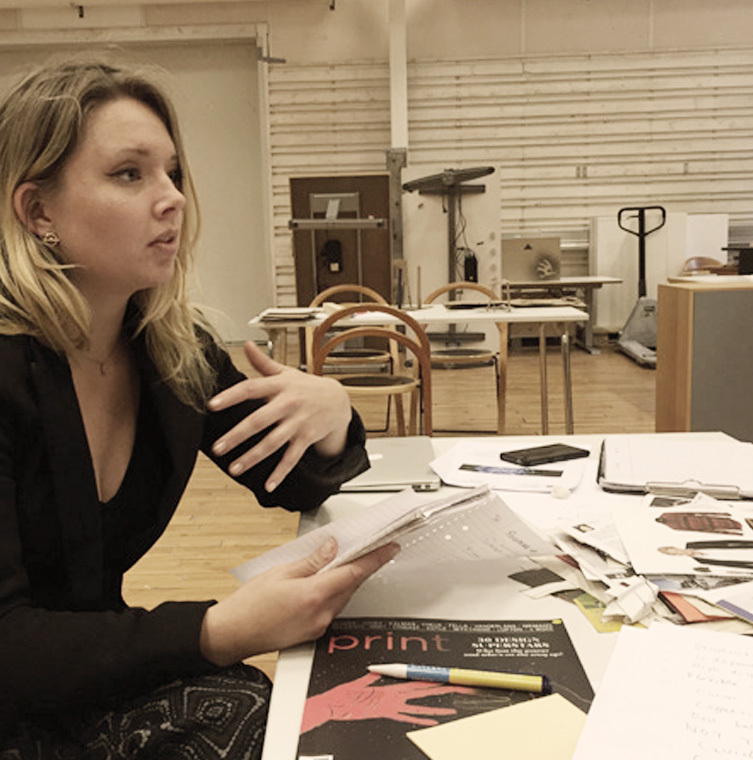 We user tested our concepts with workshop and small focus groups with people in age 20-30 years old. The form and handle comfortable for most users, and they preferred it small in size. The common comments from evaluation was that the concept was interesting, but many were not sure if they would take the initiative to go hiking. It seemed to depend on the user motivation versus accessibility, since many of them instantly mentioned that they would "go out in the nature so much more if this existed". The users gave me incentives that I could make it in to an emergency system as well. From now on the design work was individual. With the user comments and needs in mind and when the final prototype was ready, I iterated more about the system of the service. I decided to make the service mood- and color based, since this is something research and user test proved to work for our target group. I also wanted to adapt to the Momondo brand DNA- which carries similar elements. Linking tourism to the concept, in shape of a service, felt natural from this point. The service needed stations where Momondo could guide their customers on the selected journeys. The service should be available in multiple languages and highly visible in dusk and dawn, be energy efficient and be manufactured with durable material. The interface was finally made based on Momondo existing web interface. AN ADAPTABLE MOMONDO OUT DOOR SERVICE FOR HIKERS, SNOW MOBILE DRIVERS, SKIERS, DIVERS AND OTHERS. THE RESCUE SYSTEM MAKES IT A SAFE AND ALSO ENJOYABLE OPTION. It is a social incentive for unmotivated users to go out in the nature. It also can be seen as guidance system for a broad range of outdoor user groups. It is mood based, and could be developed for cities as a tourist guidance system and rescue system. The beneficial part is the social factor, the system makes it very easy to hike. A young person can easily connect with their phone, and then hike with a navigation 30 minutes later while reaching the first station.